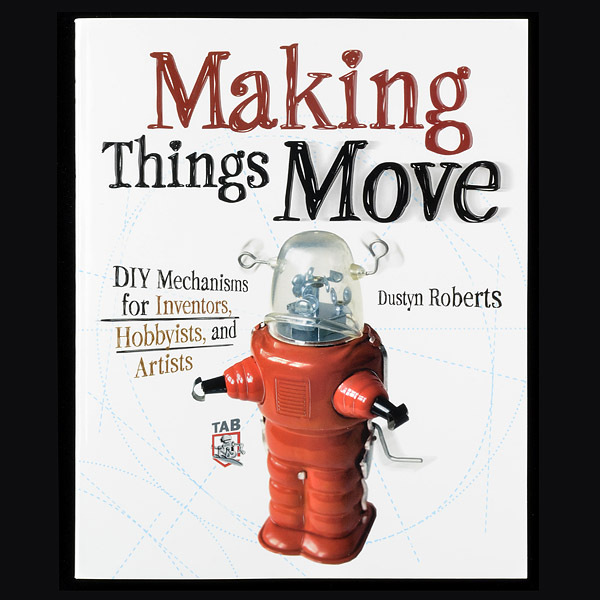 Dustyn Roberts' Making Things Move is a wonderful introduction to practical mechanics. This book teaches you the basics of building moving mechanisms through non-technical explanation, not abstract engineering theory. 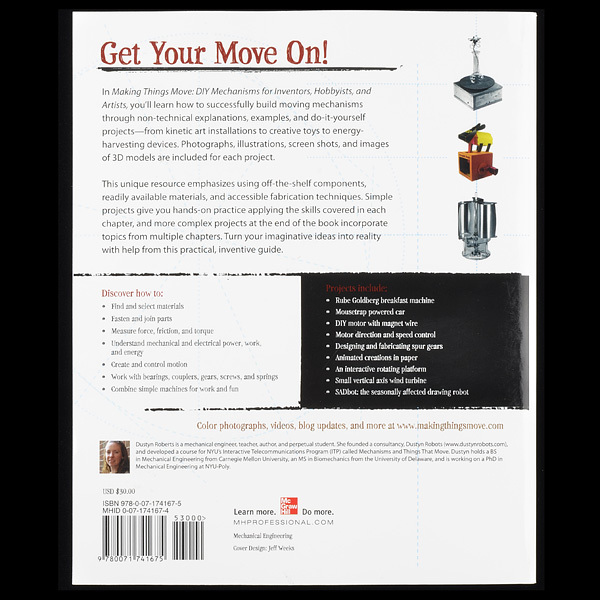 These straight-forward explanations, together with examples and DIY projects, will help you form a solid understanding of concepts like attaching couplers and shafts to a motor or converting rotary motion to linear motion. 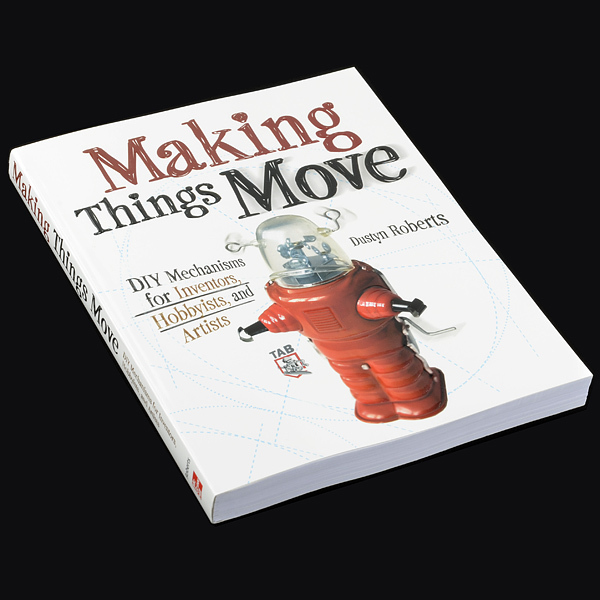 Jam-packed with pictures, drawings, screenshots, and down-to-Earth instruction, *Making Things Move *focuses on practical application with an emphasis on readily available parts, materials and processes. This book is really good at hobbist mechanics. I have lots of robotics and electronics and this is the thinnest and the most interesting one. The book even has information I have not found in internet!